Corn desserts I’m obsessed with.. I cant figure it out. Why does everyone think corn in a dessert form is weird? In my opinion, corn is the dessert of the future. Mark my words people, it hasn’t gone mainstream – but one day America will realize its dessert potential. 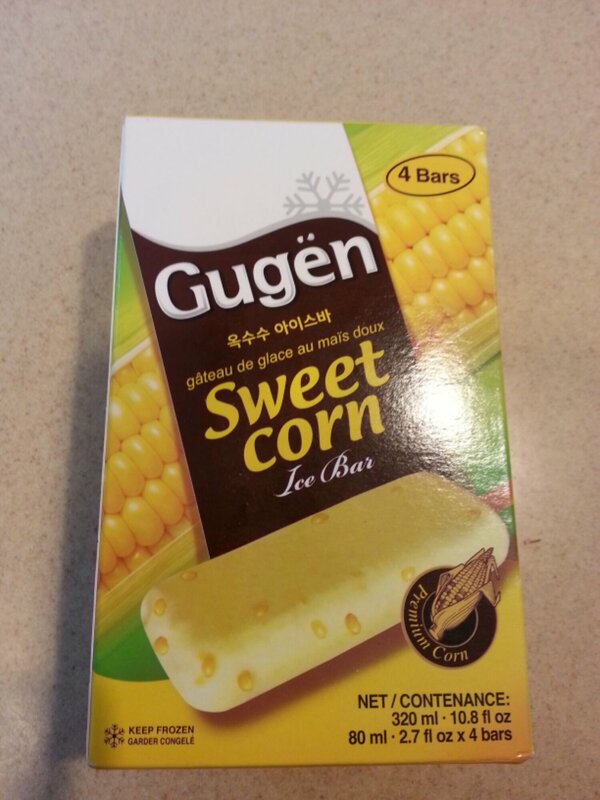 So the object of my affection this week is these two frozen stunners – Filipino brand Magnolia ice creams Mais Queso (corn and cheese) ice cream, and Korean Gugen Sweet corn ice bars. Both with chunks of sweet corn kernely goodness that stick in your teeth and taste suprisingly right in this form. 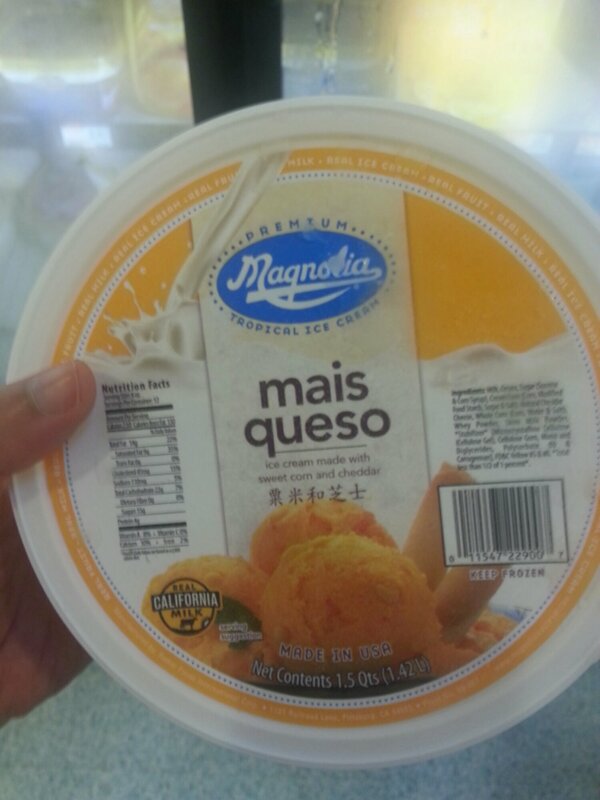 Pick em up at your local asian mart, where corn desserts are perfectly acceptable- not weird.